At the exhibition we present the works of 13 Japanese artists including an architect and a graphic designer, produced in media such as photography, painting, drawing, manga, sculpture, installation, object, video, ceramic and poster. The starting points for the exhibition are the conceptual photographs and paintings by Koji Enokura (1942–1995), an artist considered part of the Mono-ha movement that places great emphasis on the logic and precision of an artistic statement. The works of a photographer of the younger generation, Taiji Matsue (b. 1963) that present bird’s-eye views of selected parts of Japan, are an attempt to turn the world into an abstract, flat image. In turn Hiroshi Sugito’s (b. 1970) paintings are devoted to conceptual takes on the theme of rain and how we experience it. 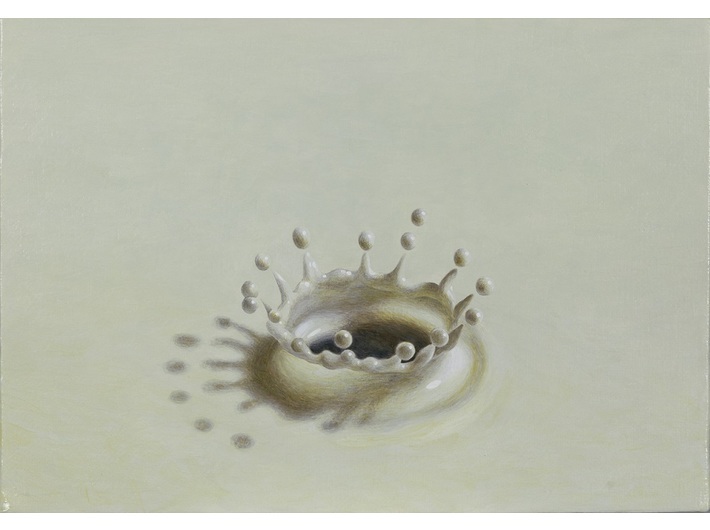 The detailed drawings and painting by Shinji Ogawa (b. 1959), which are part of the MOCAK Collection, are an attempt to present selected elements of European reality in a Japanese manner. The ‘silent’ pieces by Yuichi Yokoyama (b. 1967) are typical manga works but they lack a plot; the speech balloons that come out of the geometrically sketched characters’ mouths are empty. Teppei Kaneuji (b. 1978) presents everyday objects immobilised by the means of plaster, which deprives them of their function, turning them into sculptures. The architect Akihisa Hirata (b. 1971) has created yet another abstract construction, which consists of thousands of red, plastic straws joined together. Tateyama – an object made by Noe Aoki (b. 1958) from small piles of bars of soap bound together with thin steel strings, evokes the image of Japanese mountains. 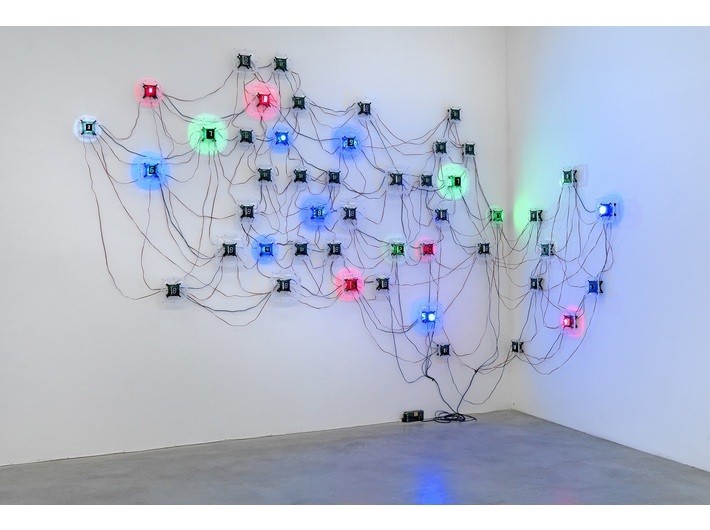 The works of Tatsuo Miyajima (b. 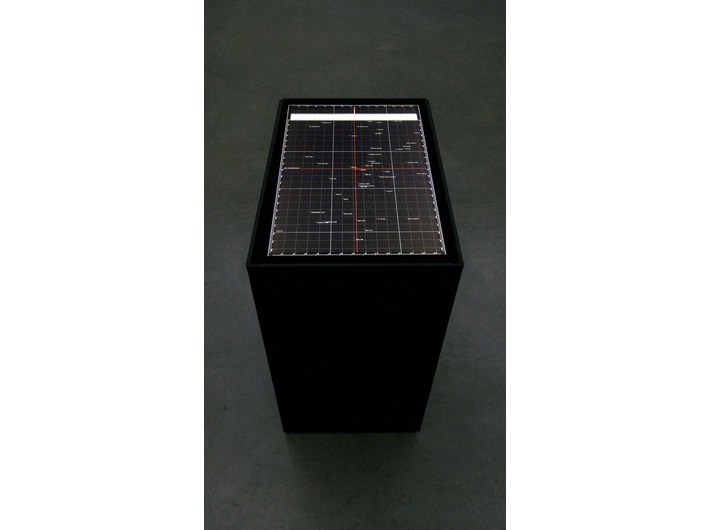 1957) and Ryoji Ikeda (b. 1966) employ a computer programme which turns computer data and mathematical values into life symbols. 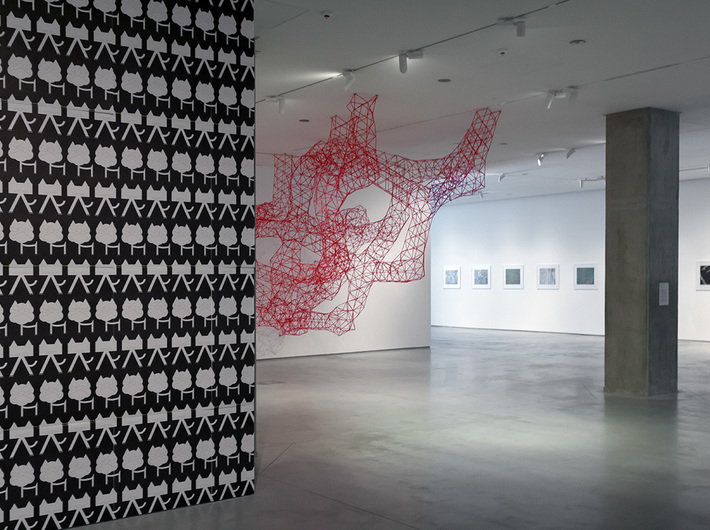 The artists highlight the relationship between man and new technology. Using computer modelling, Go Watanabe (b. 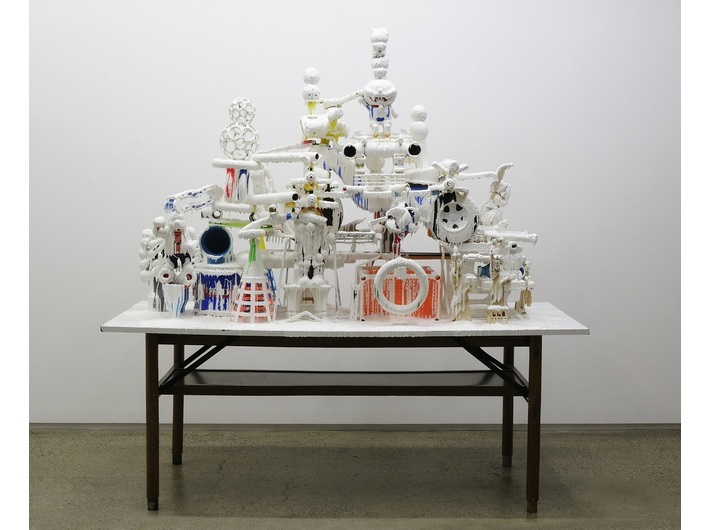 1975) creates three-dimensional representations of kitchenware that look like photographs of actual objects. 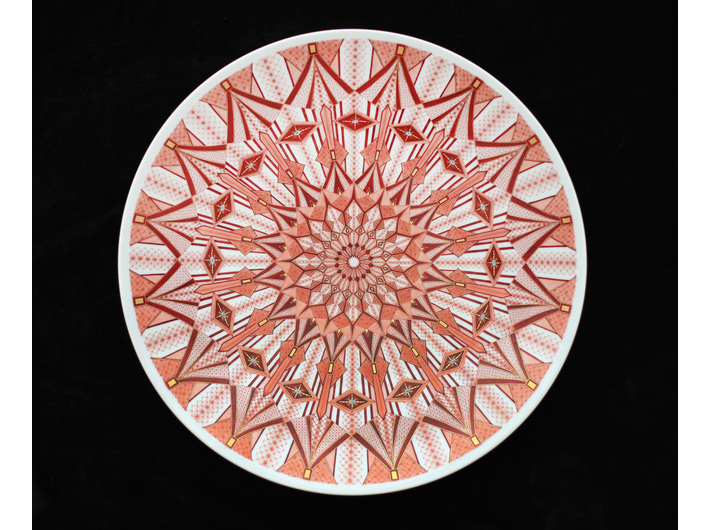 The hand-painted ceramics by Masayasu Mitsuke (b. 1975) draw on the importance of meticulous detail and traditional Japanese precision. In turn the graphic designer Kazunari Hattori (b. 1964) presents posters that, exploiting simple, geometric shapes, visualise the theme of the exhibition. 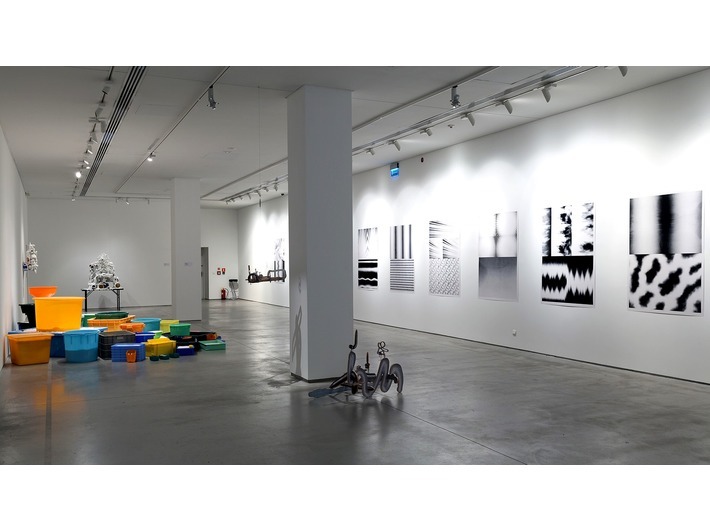 The exhibition, organised in collaboration with the Japan Foundation, has been shown at the Museum Haus Konstruktiv in Zurich. 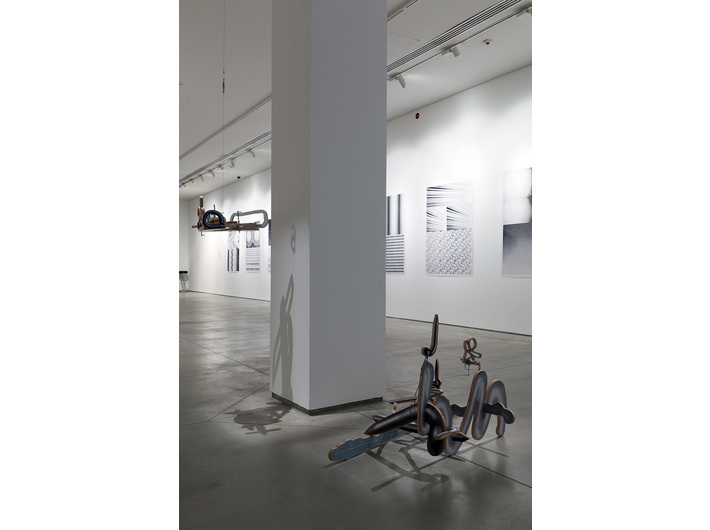 In Krakow, we have added the works of Shinji Ogawa from the MOCAK Collection. The final institution to present the exhibition will be the Kunstmuseum Moritzburg Halle (Saale) in Germany.